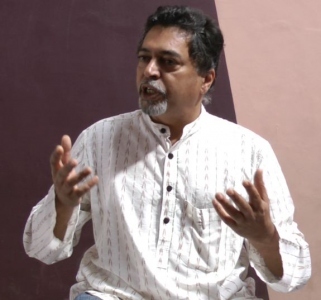 Goa's celebrity artist Subodh Kerkar is invited to deliver a lecture at The Van Gogh Museum, Amsterdam on 10th June. He will speak on the subject ‘Ocean and Art’, and will explore how his works have been inspired by the seas. The talk will be attended by the participants of ‘The Art of Making Art Exhibitions’, a programme initiated by The Van Gogh Museum and the art lovers of Amsterdam. Subodh will also present his works at the ‘Mesdag Collection’, The Hague at a show titled ‘Sea-dogs and beach guests’, which is curated by Celine Ariaans. Hendrik Willem Mesdag was a great admirer of the sea and the Collection has numerous paintings, especially landscapes inspired by the ocean. ‘Sea-dogs and beach guests’ will present the contemporary depictions and responses to the oceans. The project is an initiative of Edwin Becker - Chief Curator of Exhibitions and Els Reijnders - Project Manager (The Art of Making Art Exhibitions), The Van Gogh Museum.